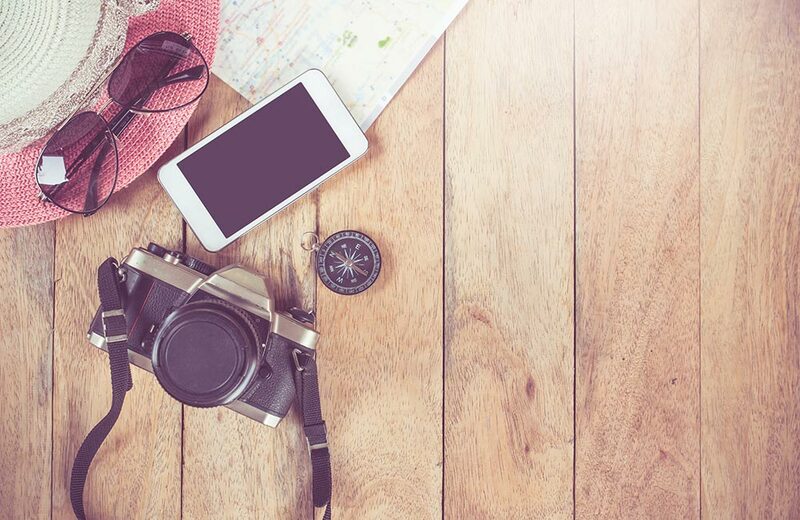 For someone with insatiable wanderlust, nothing can beat the thrill of a road trip. And when it’s a road trip from Bangalore to Coorg, the fun and excitement can reach a new crescendo! As you bid goodbye to boardroom meetings, traffic snarls, daily routines, and start winding your way towards this popular hill station in the South, scenic vistas soothe your eyes and your weary soul. Anyone who has undertaken this road trip is likely to swear by the splendor of the region. So, if a Bangalore to Coorg weekend tour is on your mind, here’s all the nitty-gritty of the road trip that you need to know before you put the pedal to the metal and get going! Imagine waking up to the aroma of coffee and spices wafting through the misty air even as the sun rises lazily to spread its light….that’s Coorg, the land of Kodavas, in all its elemental essence! Officially known as Kodagu, Coorg is a scenic hill station in Karnataka blessed with nature’s abundance. The place is known for its verdant coffee plantations, aromatic spice gardens, cool climate, wild streams, gorgeous waterfalls, lofty hills, and rolling valleys, all of which have earned it the title ‘the Scotland of India’. 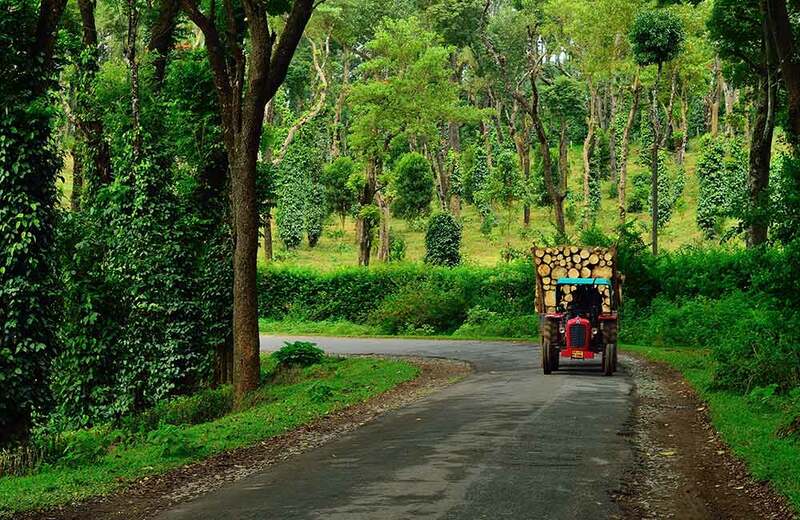 Apart from these rich natural assets, Coorg is also a cultural treasure trove and an explorer’s delight with plenty of sightseeing and trekking options. Another key feature of the region is its numerous homestays where you can put your feet up and enjoy some of the fine flavors of the Kodava cuisine, such as pandi curry (pork curry), akki roti, and kadambattu (rice balls). Madikeri is the headquarters of Coorg and the central hub of activities. Want to explore some more hill station near the Garden City? 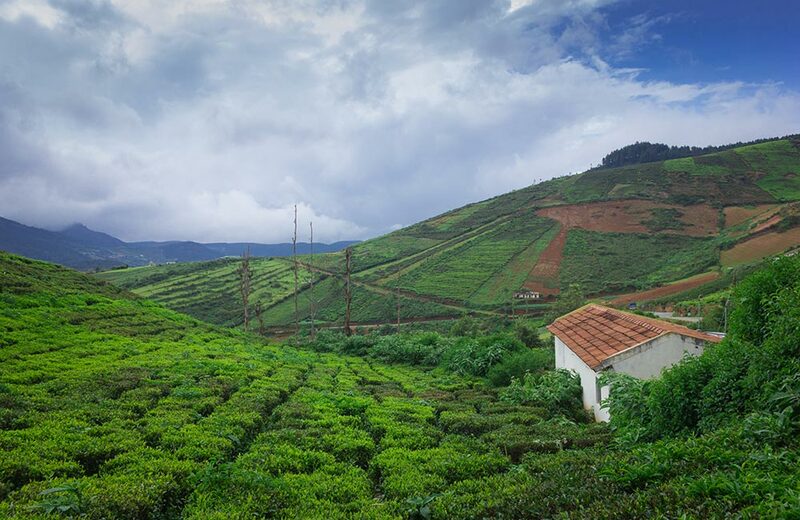 Check out our blog on the top 33 hill stations near Bangalore that will relax and refresh your soul. Located in the pristine Western Ghats, Coorg lies at a distance of about 245 km from Bangalore. You can reach the place by taking a bus or train or driving your own vehicle. Here are the details. To reach Coorg from Bangalore by bus, you can hop onto one of the KSRTC buses that ply daily between Bangalore and Madikeri, the headquarters of the district. Other than KSRTC, there are a number of private bus operators that run Volvo, sleeper, and semi-sleeper buses in the route. You can find several boarding points for these buses – Kalasipalayam, Madiwala, Silk Board, Hosur Road, etc. – speckled over the city and even in the outskirts. You will also find buses that connect to the lesser-known towns in Coorg, such as Gonikoppal, Virajpet, and Somvarpet. Most of these buses operate at night as it is a six-hour journey from Bangalore to Coorg by road. This means if you board a bus at night, you will reach your destination early next morning, giving you ample time to check in at a hotel/homestay, fresh up, and get ready for the day. Note, however, that you won’t be able to enjoy the scenic beauty of the region on a night journey. There are buses that operate during the day too, should you wish to enjoy the vistas en route. Since the roads to Coorg are well-maintained, traveling from Bangalore to Coorg by car or bike can be a pleasant experience. The best part is that you will be able to stop at will and enjoy the natural delights on the route. There is more than one route that you can take to reach Coorg. You need about 6 hours to cover the distance, but depending on the route you select, the traffic, and the speed of the car, your travel time can vary. The best thing about taking a road trip is that you can soak in the beauty of the route and also explore the places that fall on the way. There are three popular routes that you can take to travel from Bangalore to Coorg, each with its own attractions. Outlined below are the details of each route. Here, you will be taking the Mysore-Madikeri Highway to reach your destination. You will start from Bangalore and pass through Ramanagara, Madya, Kushalnagar, Madikeri, and finally reach Coorg, in about 6 hours. Do not forget to check out a few of the tourist attractions dotting this route, such as the Bhagamandala Temple, Abbi Falls, and the Namdroling Tibetan Monastery. You can also make a stopover at the Dubare Elephant Camp. Your Coorg trip from Bangalore by car in this route will take about 7 hours. Starting at Bangalore, the route traces Channarayapatna, Hassan, and Sakleshpur before you reach Coorg. Among the tourist highlights on this route are Chennakesava Temple, Manjarabad Fort, Bisle Ghat, and Belur and Halebeedu. You can also explore the beauty of the Mallalli Falls, one of the enchanting waterfalls near Bangalore. Your Coorg trip from Bangalore in this route also will take about 7 hours. Here, you will reach Coorg via Ramanagara, Mandya, Nagarhole, and Gonikoppal. 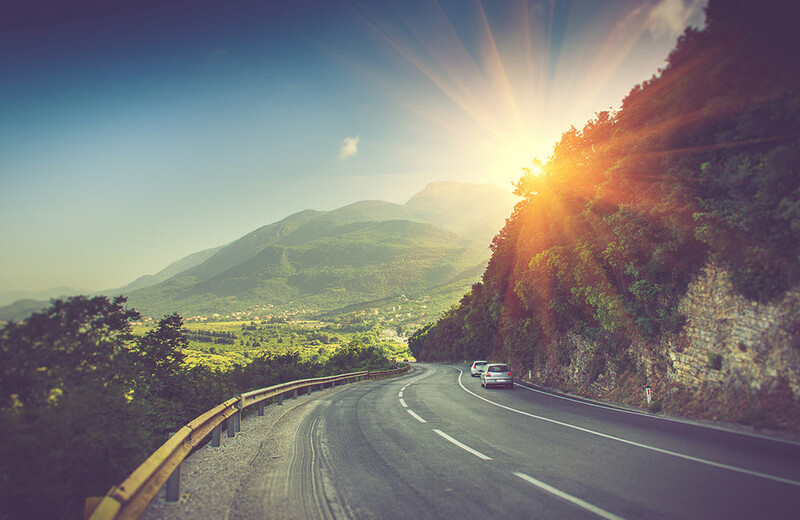 This is the perfect route for anyone who wants to enjoy nature’s beauty while on the road. The Nagarhole National Park and Tiger Reserve and the Nisargadhama Forest are the two places to visit on the way to Coorg from Bangalore. Coorg counts among the most popular weekend getaways near Bangalore and for a good reason. The place has a number of attractions – from forts and temples to waterfalls, palaces, and plantations – which you can cover in a 2 days trip to Coorg from Bangalore. Here’s a list of them. Dating back to the 17th century, the Madikeri Fort or Mercara Fort stands as a testament to Coorg’s stormy history. The iconic structure is among the many forts that were constructed or rebuilt by Tipu Sultan. 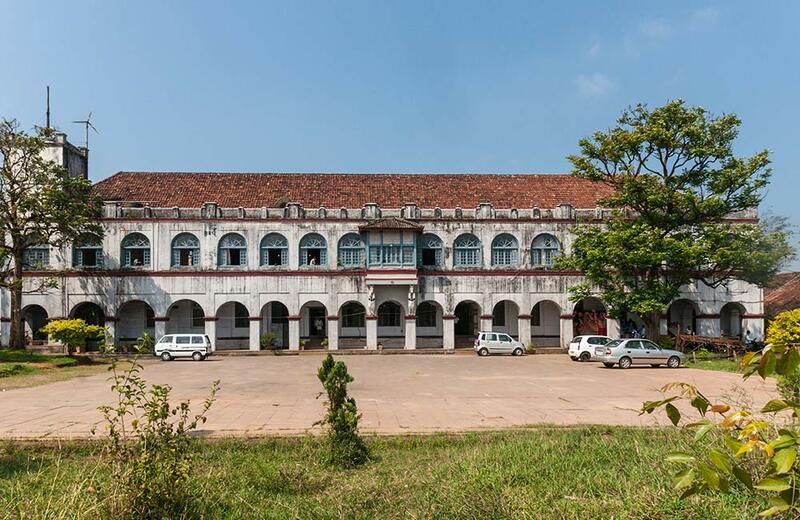 This historical structure now houses the Madikeri Fort Museum that displays a wealth of weaponry and other artifacts. Nalknad Palace was the last residence of the King of Kodagu, Chikka Veerarajendra before the colonial rulers deposed him. Located near the Yavakapadi village, the palace boasts of an exceptional mantapa present in the center. It is believed that the palace has an underground tunnel that connects it to Madikeri. One of the top tourist hotspots of Coorg, Raja’s Seat is an enchanting seasonal garden that boasts of lovely fountains. But it is the panoramic vistas and the majestic sunrises and sunsets seen from this vantage position that makes it so popular among tourists. This natural waterfall, which is formed by a small stream, is also known as Embepare Falls and is about 40 km from Madikeri. Located inside a forested area, Chelvara Falls presents a gorgeous picture of white water rushing down against a backdrop of greenery. The best time to visit the waterfalls is during the monsoon season. Considered to be more than 1000 years old, the Bhagandeshwara Temple is dedicated to Lord Narayana, Lord Bhagandeshwara, and Lord Subramanya. It stands at the confluence of three rivers, namely- Cauvery, Kannike, and Sujyothi, and attracts visitors due to this very reason. Mandalpatti is a hilltop and a popular tourist spot that abounds in natural beauty. Since it is located at a height of 1600 m, the place provides fascinating views of the sunrise and sunset as well as the surrounding areas. Harangi Dam is a reservoir serving the Harangi River, a tributary of River Kaveri. It is a masonry dam that presents a wonderful sight to behold. During the monsoon season, the beauty of the dam enhances by many folds. It is an ideal spot to enjoy a picnic with your family and friends. Omkareshwar Temple is an ancient shrine dedicated to the Hindu deity, Lord Shiva. It is revered as one of the 12 sacred jyotirlinga temples of Shiva. The temple is located on an island called Shivapuri in the Narmada River and presents a lovely picture of architectural beauty and serenity. A lesser-known beauty in Coorg, Chettalli is a quaint village that is laden with nature’s bounty. Green-carpeted valleys, mighty hills, misty environment, and cool climate, all come together here to create an enchanting picture. It is the ideal place to experience Mother Nature in all her glory and exquisiteness. Irupu Falls is a lovely fresh water cascade that is also known as the Lakshmana Tirtha Falls. Legend has it that this was the very spot where Lakshman had shot an arrow and drew water for Lord Rama to drink, and hence the name. The captivating beauty of this cascade draws tourists to it in large numbers. Coorg is a treasure trove of experiences, making it a dream destination for adventure chasers and serenity seekers alike. Take a look at some of the activities that you can enjoy in Coorg. Tadiandamol takes pride in being the highest peak in the Kodagu region. Situated at an altitude of about 5735 feet, the mighty peak offers itself as a fantastic trekking destination. A trek to the peak will take you around 4 hours but is worth every moment of it. Besides this, there are many other trekking trails in the region which you can explore. Barapole River is famous as whitewater rafting destination in Coorg. The turbulent waters of the river ensure a thrilling experience for rafting enthusiasts of all levels. It takes around 3 hours to complete the total rafting session that is of about 4 km. Coorg boasts of being the largest coffee producer in the country and is dotted with a number of coffee plantations. It can be a delightful experience to walk through a coffee estate and learn more about how this beverage transforms from mere beans to the world’s favorite drink. The local cuisine of Coorg is different from that of the rest of Karnataka. So do not miss out on exploring a few authentic local delicacies while you here. Do not leave the house without trying the Kodava pork curry made using aromatic spices (locally called Pandi Curry) and rice balls (called kadambattu). Spending a night under a clear sky twinkling with millions of stars is something that can remain etched in your memory forever. Coorg is the best place for camping, thanks to its unpolluted atmosphere and an all-encompassing serenity. You can simply lie down on a bed of grass and let nature lull you to sleep. Various lakes and rivers of Coorg are rich in aquatic life and make for great spots to try your angling skills. The best time for the activity is during the monsoon season or post monsoon when the water level is high in most of these water bodies. Kayaking is one of those outdoor adventures that you can enjoy and experience during your sojourn in Coorg. Whether you are a novice or an experienced adventure-enthusiast, you can always have a great time while indulging in this activity in the waters of the Kaveri River in Coorg. Coorg is a nature lover’s delight. Situated in the lap of the Western Ghats, the region is home to a number of exotic species of birds. If you love watching birds, you are sure to have a great time spotting various species of the avian population flying about or perched on the trees. Playing with the gentle giants of the jungle is something that you can’t experience in a busy city life. Head over to the Dubare Elephant Camp if you want to play and spend time with the elephants. You can bathe, feed, and even ride these animals. Coorg presents incredible photo shoot opportunities at every turn. If you are a shutterbug, you will be spoilt for choice, as far as capturing panoramic vistas is concerned. Coorg is one of those tourist destinations where you can head to all year round. But the hill station remains at the mercy of heavy rainfall from June to September. Well, this season has its own appeal too. Rains bring the waterfalls in and around Coorg alive, turning them into a spectacular sight. However, during the monsoons, you may not be able to enjoy outdoor activities due to the rains. If you want to explore Coorg minus the rains, October to May is the ideal time to plan your visit. Coorg is at its scenic best during March and April. All set to hit the road? Before you head off, take our two cents on the dos and don’ts of taking a train trip from Bangalore to Mysore. If you go for trekking or exploring the waterfalls, keep an eye out for leeches, especially during night and right after the monsoons. While going out for treks, do not forget to carry along enough water to remain hydrated. Carry along your trekking essentials if you plan for an overnight trek or camping out. For instance, a torch, light food, protein bars, sleeping bag, and water are among the must-carry items. Include a good pair of trekking shoes in your luggage, especially during the monsoon season. This is the time when the ground gets really slippery and so, you must remain prepared from your end. Always keep a map handy when you are on your own and out exploring any unknown territory. Nights in Coorg can be chilly. So, carry along a light jacket to keep yourself warm after sundown. If you have kids accompanying you on the trip, make sure to carry appropriate clothes for them, based on the season when you are visiting the hill station. A road trip from Bangalore to Coorg is an exciting adventure filled with thrills at every turn. You never know what new treasures and pleasures you may discover on the way. So, go ahead and make the most of your quest and journey. Here’s to happy road trips!